No, honestly: you can't miss it. 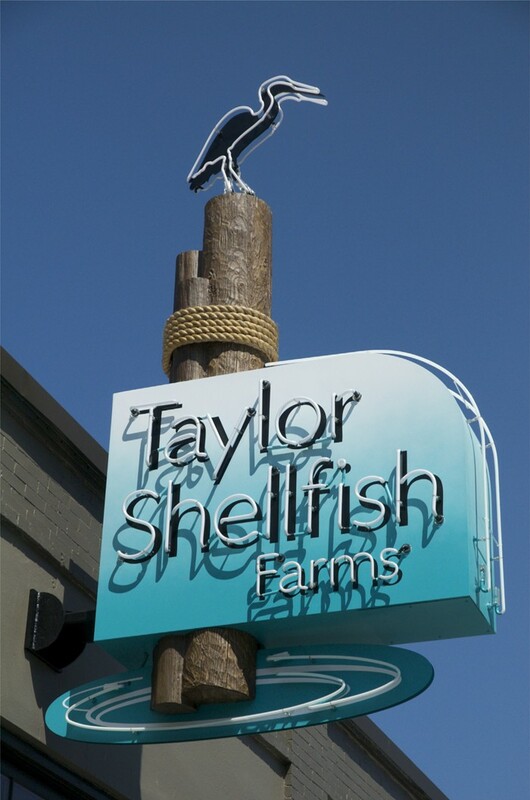 The good people here aim to provide you with the freshest oysters, clams, mussels, geoducks, and scallops, brought to Seattle throughout the week directly from their farms, and they’ll tell you how to shuck and cook them, too. The live tanks also hold Dungeness crab in season, and you can enjoy some very fine oysters on the half-shell, chowder, and more with a glass of beer or wine. Happy Hour Mon-Fri 2-4 pm ($1.75 per oyster special, $6 glass for select wine, $4 pint of select beer).